Special Concert! 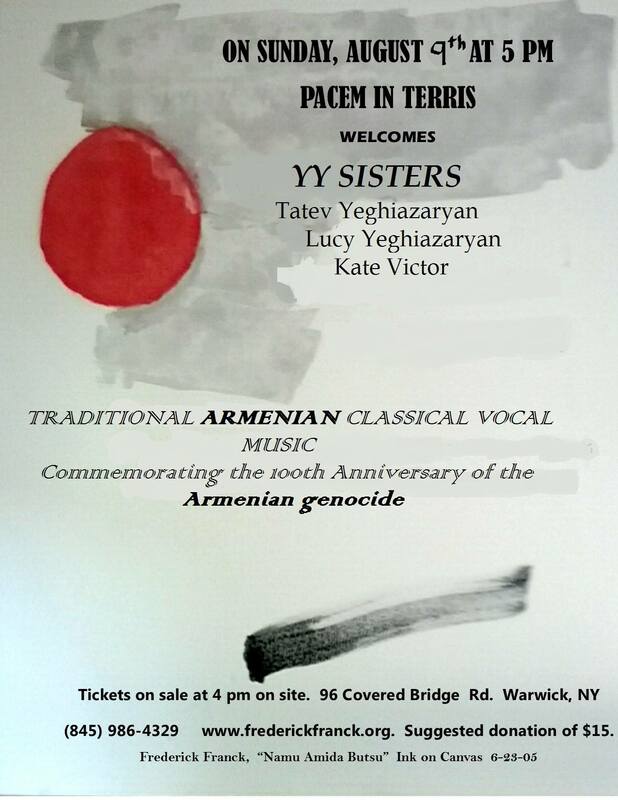 The YY Sisters performing Traditional Armenian Music! (marking the 100th Anniversary of the Armenian Genocide) Rain or shine! All concerts begin at 5 PM; tickets on sale at 4 PM-sorry no reservations are possible. $15 suggested donation–Thank You!